Blockchain is the core technology, the elemental string of code, that runs crypto currencies such as Bitcoin. This is revolutionary, similar to how the World Wide Web, the Internet, was first introduced decades ago, which completely altered how we now think and live. What many associate blockchain with, is just digital currency, but it goes far beyond that. Like anything else that boldly predicts to alter the world as we know it, skepticism sets in. In the next few years, prepare to accept it or perish. The reason being, this new technology is destined to make the Internet completely accountable. So if you’re looking for the next upcoming global shift in virtual technology, then pay attention to blockchain. Blockchain isn’t going anywhere, and is chugging full steam ahead. It’s the next big bang, but the road will be rocky, so hang on. It will eventually reach critical mass, as it’s gearing to revolutionize how we do business. Many are confused about blockchain, as they have no idea what its purpose is. It’s similar to the same mass hysteria that occurred, when the Internet was first conceived. Back then, the corporate world had no idea what a web page was, as it took close to a decade for mainstream business, to finally adopt it. For those who did so early, made all the money. So if you’re reading this, then it’s time to learn what blockchain is, this before everyone else does. Blockchain is on the top of the heap, the successor, the culmination. It’s the cusp of all the previous interlocking online technologies combined, that’s been developed thus far. First there was the original web. Then the Internet transformed itself into Web 2.0 or social media, which eventually shifted to mobile. What developed was these series of tiny revolutionary advancements, which ultimately led to blockchain. The initial phase of blockchain, is composed of easy to understand simple ledger applications, which addresses areas such as remittance, cross-border payments, and corresponding banking systems. Every financial institution and exchange, are now aware of the possibilities and the opportunities, that blockchain is potentially able to do. The next phase, the one that’s upcoming are “smart contracts,” which are set to revolutionize processes such as international trade, and the “Internet of Things” (IoT) application management. There are a variety of daunting issues however, which remains to be solved, to be made user friendly, to be accepted by the masses, and will take years to develop. The final phase when it comes to blockchain applications, is integrating these software systems with artificial intelligence, allowing for automated machine learning capabilities, which can seamlessly activate the blockchain functionality. This is where it can help your business, to simplify and cut costs. Say there are two companies who are in different countries, and wants to trade goods such as lumber. What they’ll normally do, is use a bank and other “middlemen” to proceed with the transaction. It’s a painstaking slow and expensive process, filled with potential errors, which hasn’t changed since global trade began over a century ago. Even with the “paperless” Internet, what’s still required is massive paperwork, as both parties involved spends inordinate amounts of time, proving that they’re valid as claimed. That they’re capable of fulfilling their end of the deal, when it comes to trading across borders. This is where blockchain smart contracts come in, which is set to transform the $7 trillion international trade industry. Say for instance, you have a cargo shipment that contains crude oil, which is slowly making it’s way to China. What the merchants involved did, was resold the oil several times during the trip. Who’s involved in every transaction are the banks, agents, inspectors, and the commodity trading firms. This involves hundreds of documents that go back and forth which needs to be verified, costing several hours to complete each trade. But by using smart contracts, the transaction for each trade could take less than 30 minutes. All that’s needed, is moving the process on a modified version of the Ethereum blockchain. Ethereum is a crypto currency similar to Bitcoin. This massive chore, the movement of handling physical documents on paper, has always been prone to human error, at times fraud, all which causes delays along the process. With blockchain, every document gets digitized, making it easier and safer to move around, as they’re guaranteed to be valid. It solves hours of headache inducing administrative issues. What’s possible is to “auto-check” all the documents on a computer, this rather than doing it manually. What the experts are estimating, is that blockchain is capable of cutting costs by $20 billion, not to mention the time saved. Blockchain is an online platform, which allows for the transmission of undisputed digital information, without the risk of it being copied, tampered, or stolen. Blockchain was originally conceived, to house it’s most famous resident, Bitcoin, the digital currency. This is the verification process that the Internet has been waiting for, to make it legitimate and ironclad safe. 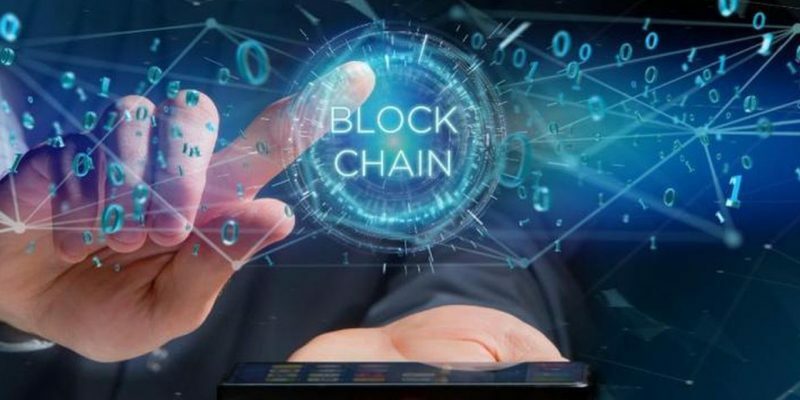 Developers are now discovering better more sophisticated uses for blockchain, as it’s concept of virtual mechanical trust, is finding its way towards seamless online processes for conducting business online without fear or doubt. Blockchain can be defined as an algorithm, a data distribution structure and system, originally for the unregulated movement of electronic cash, in this case Bitcoin. This without the need of a third party centralized administrator such as a bank, to record and monitor any financial transaction. Blockchain can’t be controlled by a single individual, entity, or identity. It has no one point of failure. Similar to how the Internet worked out all its kinks, and has proven itself as durable and reliable, blockchain is the final piece, that’s set to serve as an authentic means of global business transactions. Currently, its potential usage are for banks and businesses, who are involved in trade. The technology however, will eventually shift to day-to-day transactions, and for general public usage. All that’s needed, is time and patience.